It's time to give your resume a much needed boost. Here are a few things you can focus on to improve it dramatically. You’ve been the picture-perfect job seeker. You look for new job listings every day and you apply for anything remotely within your area of expertise—all with a smile on your face. But you’re not getting hired. Not even a follow-up for a job interview. Chances are, you’re doing something wrong in your job search. In fact, you might be doing quite a few things wrong, which can prevent you from hearing those two words: “You’re hired.” Here are five reasons why you’re not getting hired for a work-from-home job. If you want to score a work-from-home job, you’ll need to show that you are the epitome of a telecommuter. How do you do that? By highlighting your previous work-from-home job experience in your resume and cover letter. But let’s say that you haven’t held a remote job yet. In that case, you’ll need to shine a spotlight on your skills (e.g., your ability to work independently, your excellent communication skills, etc.) and how they can help you be a stellar work-from-home employee. In today’s job market, you need to do anything and everything in order to make your job application stand out. If your cover letter is snooze-worthy, you’ll need to brush off your writing skills and craft a catchy cover letter. You can start it off by telling a story or write about something that happened to you. Whatever you write should relate to the job you’re applying for, grab the reader's attention, and most importantly, leave no doubt in your potential boss’ mind that you would be able to successfully work from home. 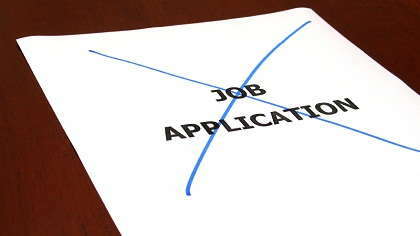 Let’s face it: you’re growing tired of job hunting. So you find ways to cut corners, such as copying and pasting parts of previous cover letters into current ones. But if you’re starting your cover letter off with “To whom it may concern,” you shouldn’t even bother sending in your job application. So take the time to customize your application. It may mean that, yes, you have to write a new cover letter from scratch, or modify your resume to emphasize one previous work-from-home job experience over an in-office one. By taking the time to make your application be as on point as possible, you’re ensuring job seeking success—and upping the chances of getting hired. You meant to give your job application one last looksie, but your kid had a bad head cold and you wanted to make her some chicken rice soup. So you hit “send” without thinking—and without proofreading your job application. While proofreading doesn’t always ensure that you’ll catch every mistake (after all, reading the same words over and over can make your eyes glaze over), it's a good idea to ask a friend to read through your job application for you, especially if it’s a job that you really, really want. In the job description, it asked you to name three things in your cover letter that you would bring to the table as a remote worker. Thing is, you didn’t include that info. At all. You also didn’t format your resume as was requested. Naturally, it’s no wonder that you never heard back from that prospective employer. You’ll need to read through each job description with a fine-tooth comb and adhere to each and every request. It could make all the difference between you landing that telecommuting job—or not. While you might be doing your best to find a telecommuting job, you might need to take your job search skills up a notch in order to get a job that you love and gives you that perfect mix of work-life balance.